A three course meal-translation of a three part text. The sections of the poem were served on translucent placemats along with each dish. Collaboration with chef duo TABLE | TABLE. 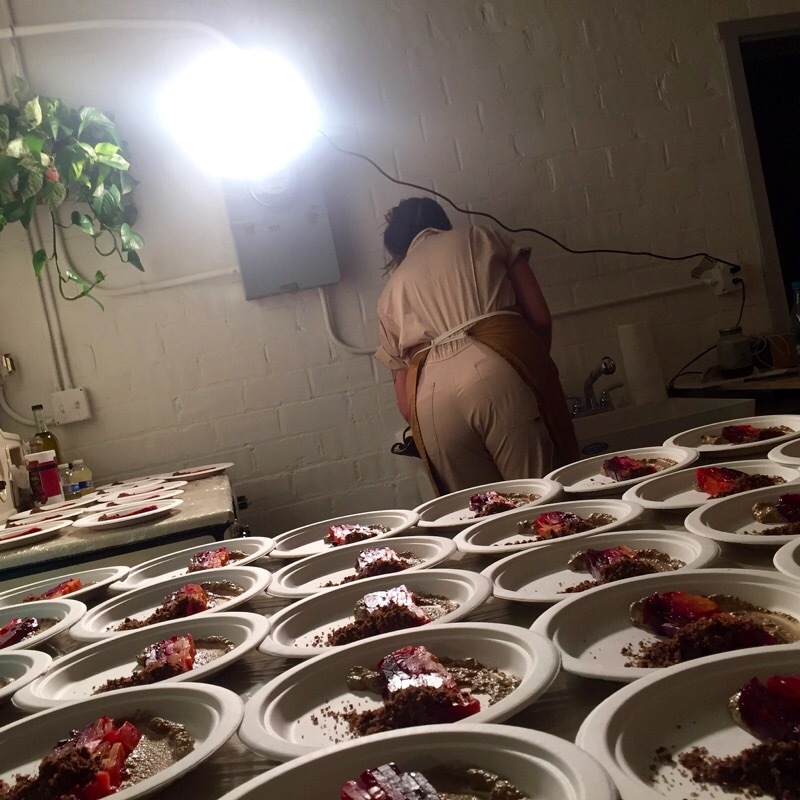 This meal-performance took place on Sunday March 6th, 2016 at 3307 W Washington Blvd and included 42 participants.